Parenting Tips and Kids Events | Breezy Mama Breezy Mama - Expert parenting advice, celebrity interviews, product reviews for kids, moms and babies and more! More cities to choose from coming soon! Pretend City Children’s Museum is located at 29 Hubble, Irvine, CA 92618. For more information, please visit www.pretendcity.org. Munchkin has launched its second annual Munchkin Bunch contest, an interactive social media campaign that follows a select group of babies as they learn, grow and reach new milestones. Now through July 23, 2012, parents may nominate their child by visiting the Munchkin Bunch Facebook tab and fans can help select the cute, fun, modern and clever babies that best represent Munchkin. Each of the five winners chosen will receive a $1,000 financial scholarship to put toward college, as well as a variety of Munchkin products each month to help make parents’ lives easier, safer and more fun. Product packages may include Munchkin’s award-winning Diaper Pail, safety gates, accessories and others, and Facebook fans will also have the chance to win the packages each month. Check out their Facebook page today for your chance to win! TJL Enterprises, a leading innovator of natural health products, today announced that Colic Calm®, the country’s first and only FDA-regulated homeopathic gripe water, is available in select Babies“R”Us® stores across the country and online at Babiesrus.com, as well as at Diapers.com®. An all-natural gripe water, Colic Calm soothes baby’s irritation caused by colic, infant gas, stomach pain and even reflux. It also helps infant digestive systems adjust to new foods and relieves stomach upset caused by infant teething. In addition to alleviating painful bloating, reflux and gas, Colic Calm temporarily relieves stomach upset caused by hiccups and infant teething. To learn more about the causes of colic, an educational video is available online at www.ColicCalm.com/101. David Arquette & Ecomom.com are partnering in a major way to help fight child hunger in the US. Although most people associate hunger with 3rd world countries or the homeless, many working US families struggle knowing where their next meal will come from. In many ways America is the land of plenty and the privileged. But for 1 in 5 children, hunger is their reality. For this reason, ecomom.com co-founders Jody Sherman (CEO) and Emily Blakeney (Chief Mom Officer) are championing the “It’s All Good” nation-wide giving initiative to feed children across the U.S. For every purchase made through ecomom.com, no matter how big or small, the site will donate three healthy, nutritious meals for a day for a child between the ages of 4 and 18 months. The goal is to feed at least 100,000 hungry children in the U.S. this year. Joining the fight is David Arquette, committed super dad and three+ year volunteer as well as a long-term supporter of Feeding America. David’s proven devotion to his daughter and consistent time devoted to Feeding America perfectly align with the company’s ambitions. Guessing what your baby is thinking can be a lot of work – so we thought you should be rewarded for it! Visit our Tales from the Bib site every week between May 21st and June 17th and share stories from your baby’s point of view for a chance to receive coupons and prizes for baby and you! You can do this in one of two ways: by filling out and submitting a Mad Lib-style “Bib Lib”, or by submitting your own short tale. There will be a new theme each week so come back and enter more tales! The first 2,000 entrants each week will receive a $1 off coupon for YoBaby or YoToddler organic yogurt. Each entry will also secure you a chance to win one of four weekly eco-goody bags for baby from our friends at Earth Mama Angel Baby, HAPPY FAMILY, Re-Play and Dandelion Earth-Friendly Goods. And because you deserve something nice as well, you will also be entered to win Grand Prize: A $1,000 gift certificate to use at a spa or wellness center near you! Bounty paper towels is asking moms everywhere to share their stories and photos capturing their kids’ playful acrobatic moments at home that may have messy results for the chance to win an Olympic Games viewing party and a $5K grant to help their children reach their goals in the form of lessons or training equipment. Moms can enter the “Mess Behind the Glory” Contest on www.facebook.com/bounty and may check out the featured videos on the contest page to get a sense of how moms support their kids’ acrobatics at home. The hit parenting series AMERICA’S SUPERNANNY is currently casting families for the next season of the show. The casting team is sending producers around California to find families interested in receiving personalized advice for their unique circumstances. To reach the CALIFORNIA casting team directly, interested parents can call Robyn Kiyomi at (323) 904-4680 or e-mail rkiyomi@shedmediaus.com for more information. Visit the JOHNSON’S® Baby YouTube page and view the “Mom You’re Doing OK” video. The JOHNSON’S® Baby Brand will donate an additional $50,000 to Save the Children when we reach 500,000 views. To celebrate the launch of Munchkin’s leak-proof Click Lock sippy cups, four fans created videos, and now Munchkin needs help selecting the best video as their next commercial. Check out the Munchkin Facebook page and vote for your favorite video in the Click Lock Video Contest, beginning May 1st. All voters will also be entered to win an iPod touch so that you can create your own movies at home. Click here and cast your vote today—voting ends May 31st! Sarah McNamara and her team want to fly you and a lucky guest to NYC for a truly transforming weekend. The winner will experience an amazing “transformation” by Sarah which includes a haircut and style from a leading Manhattan hair salon worth $500 and $1000 to shop at a fabulous high end department store for a new wardrobe. The lucky winner will also enjoy a luxurious two-night stay at a boutique downtown hotel, AND, receive a special gift bag of Miracle Skin Transformer products to take home and continue their dream Miracle Makeover! 2. This will bring you to a separate tab where you must fill out the form and upload a “BEFORE” photo in JPEG format. *The uploaded “BEFORE” picture will only been seen by The Sarah McNamara Beauty Team. Any entries posted to our wall will not be accepted as contest submissions. The Sarah McNamara Beauty team will choose one winner to fly out to New York City with a guest. Judging will be based on the team’s votes as well as the amount of feedback to the posted photo. We encourage you to share the photo on your personal page to receive more “Likes” and comments. Book Giveaway For My Monster Burrufu! Enter here! The 23rd Annual Susan G. Komen Global Race For The Cure®, run annually on the National Mall in Washington, D.C., will be held on June 2nd, 2012, and will enable the organization to continue its investments in education, screening, treatment and support, both locally and across the globe. Participants can walk, run, bring their kids and even elect to “Sleep In for the Cure®” in order to support the organization’s goal to end breast cancer forever. Three out of every four dollars generated by the Race remain in the National Capital Area to address local breast health challenges, while the remaining funds will support Susan G. Komen for the Cure’s efforts to address the growing breast cancer crisis globally. Dixon Ticonderoga Co., the world’s leading supplier of quality writing and art supplies, including Prang Art Markers, is allowing schools to receive free writing and art supplies in exchange for UPC labels from any Dixon-family product. For details and to participate, teachers can register on Dixon Ticonderoga’s special website, www.PrangPower.com. As incentive to register, ten lucky winners will receive a $450 prize package from Dixon Ticonderoga! Prang Power will bolster Dixon Ticonderoga’s longtime support for the Kids In Need Foundation by donating $1 to the organization, up to a total of $150,000, for each administrator or teacher who enrolls in the program through June 1. Simply sign up at www.PrangPower.com and use the promotional code KINF to ensure the registration counts toward a donation. 1. Clip and collect UPC labels from eligible products, including Ticonderoga, Prang, Dixon, Oriole and Lyra brands. Each UPC label is worth one point per dollar, based on the item’s manufacturer’s suggested retail price. 2. The Prang Power coordinator for your school can then mail the collected UPC labels to be credited to the school’s Prang Power account. 3. Free supplies can be ordered once an account reaches 300 points. PRETEND CITY GOES GREEN FOR EARTH DAY AND INVITES CHILDREN TO EXPLORE THE ENVIRONMENT THROUGH PLAY! April is an exciting month as it’s a celebration of the Earth – our amazing planet! As budding environmentalists, children will be motivated to recycle, reduce and reuse waste through a multitude of activities. In coordination with OC Waste & Recycling, the Pretend City Goes Green Initiative will inspire children to learn more about the planet and how to care for it. Children will have access to a variety of educational programs including interactive activities, art studio creations, and special guests. Wednesdays – Preschool (4-5 years): Animal Antics – Animals are an important part of our environment. Children will have a new-found respect for animals through art. Thursdays – School Ages (6 years and up): Eco Art – Environmentally-friendly art projects will teach children the importance of respecting the environment. Fridays- Kindergartners (5-6 years): Paper Play – Recycled paper is the way to play and create today! Bring in your excess paper and scraps to create something new in the art studio. Saturdays & Sundays – All Ages: The 5 R’s – Recycle, reduce, reuse, restore and replenish in these creative art activities! Learning about ocean pollution is important for prevention. In this Mad Science class, children will have the opportunity to learn about the ways in which they can clean up the pollution that is currently harming our oceans and the plants and animals that live there. Specifically, children will discover how oil spills affect birds and investigate ways to clean up an oil spill. Your child will even get to take home a mini wave modulator. Science Spark (9:30 am & 1:30 pm): Spark your child’s interest in science and the environment! Mad Science, the world’s leading provider of science enrichment for children, will present two classes to ensure that children of all ages have a chance to experience their environmental education classes. Bugs! (9:30-10:30am) – This class is recommended for children ages preschool and up to help them learn about natural habitats and the bugs that live within these special environments. Children will study an assortment of bugs, their defenses and their role in our ecosystems. As an added bonus, children can take home ladybugs to add to their very own garden. Earth Awareness (1:30 – 2:30pm) – Children five years of age and up will enjoy learning about the different factors affecting our Earth today. As their cognitive skills develop, they are better able to understand community functions and begin building an interest in the environmental aspects of the community. This class will build upon this interest as they discover how water can go from dirty to clean through a mock lake. A Bug’s Life (2:30pm): Dr. Sue, “The Bug Lady,” gives her live bug presentation about insects and arthropods! Her insect program helps dispel myths and misconceptions about bugs and brings some love to our crawly creatures that share our planet with us! Pretend City is an exciting adventure for all children. However, there are times when it may be tough for infants to get around and explore. For that exact reason, we have created this special time dedicated to all those infants who want to move around the city freely. This exclusive, infant only time offers great resources for parents; an environment that is better suited to your baby’s needs, age-appropriate facilitated activities and a clean, safe, tactile space for infants to explore. Fee: $11 per adult, infants and Pretend City Members are FREE! Assessment results to take to your child’s pediatrician, school, or health care professional. Enter the Power Rangers National emPOWER* Teachers Sweepstakes to win up to $10,000 and a visit to your child’s school by the Power Rangers! The contest runs through April 9, 2012. For more information, materials or to enter the sweeps please visit http://empower.powerrangers.com/teacher-sweepstakes. Looking for a beach destination this spring break? How about San Clemente, CA? Check out this beautiful home that would be perfect for a spring break or summer rental–or even a girl’s weekend! Click here! Author Jon Singer is in the process of writing Driven, his third book for parents of children with special needs. Jon’s daughter, Rebecca, is one of 700 people in the world to suffer from a rare genetic disorder linked to autism. If published, Driven will share the Singer’s family incredible story and the lessons they’ve learned along the way. To complete his book, Jon must raise $18,007 by April 25, 2012. He’s started a campaign on Kickstarter, an online fundraising platform that’s been featured on NPR, CNN, and in The New York Times. Please check out www.DrivenStory.com to learn more, and please consider supporting Jon’s campaign in honor of Autism Awareness Month. On Thursday, May 3, The San Diego Children’s Discovery Museum (SDCDM) invites guests to a Caribbean getaway right inside the museum! For one night only, SDCDM will embrace island life and culture with live music, cold drinks and exotic food. Guests will enjoy a wide variety of live Caribbean music from Trinidad to Cuba complete with cold drinks and exotic food prepared by Stone Brewing Co. All proceeds benefit San Diego Children’s Discovery Museum, bringing in critical dollars to maintain and expand the museum’s programs and exhibits for children, families and school groups. Caribbean Nights takes place from 6 to 10 p.m. Tickets are $100 before April 1, $125 after April 1 and $150 at the door. Power Rangers Super Samurai’s Alex Heartman (Red Ranger/Jayden) has been nominated for Favorite TV Actor at Nickelodeon’s Kids’ Choice Awards 2012! Super charge Alex’s chances of winning by voting three times a day until voting closes – vote for Alex now! Tune in for the live Nickelodeon Kids’ Choice Awards 2012 on Saturday, March 31st 8:00 p.m. standard/central time. Go Go Alex! For more information, visit jalc.org/jfyp. Saturday, April 21, 2012, 1pm & 3pm. Free pre-concert educational activities begin at 12:15 pm & 2:15 pm, respectively. Rose Theater at Frederick P. Rose Hall, home of Jazz at Lincoln Center, Broadway at 60th Street, New York, NY. Tickets for the Jazz for Young People concert are $12, $20, and $28 and can be purchased through jalc.org or CenterCharge at 212-721-6500, open daily from 9am to 9pm. Tickets can also be purchased at the Jazz at Lincoln Center Box Office, located on Broadway at 60th Street, ground floor. Box office hours are Monday through Saturday from 10am – 6pm and Sunday from 12pm – 6pm. The Maddie James Foundation is proud to announce the second annual A Mile for Maddie fundraising walk on Saturday, May 19, 2012. The 2012 Celebrity Chair for the event is marine life artist and conservationist Wyland, who will host an exclusive dinner on June 7, 2012 for the top fundraisers from the walk. All net proceeds from the fundraising walk will benefit The Maddie James Seaside Learning Center at Dana Point’s Ocean Institute. All registered walkers will receive a commemorative t-shirt featuring a Wyland drawing as well as a medal for participating in the event. The walk will end with an open house at the Ocean Institute. What: A Mile for Maddie, a 1.2-mile family-friendly fundraising walk around the coastal bluffs of Dana Point. When: Saturday, May 19, 2012 at 8:00 a.m. Need a photographer? 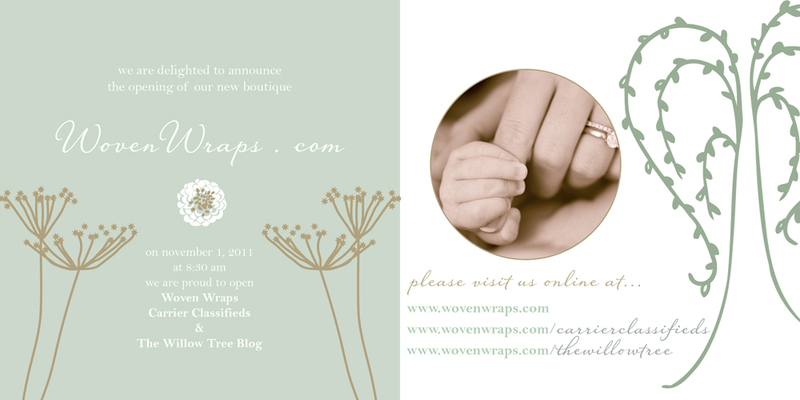 Make sure to check out Breezy Mama‘s own Etsy Guru, Maria’s website, www.haveyourcakephotography.com. Maria specializes in all life events from baby showers to children’s birthday parties and more! The New York Children’s Theater Festival has announced the accepted participants for its inaugural season, chosen by a judging panel of over 30 industry professionals including Kevin (“Elmo”) Clash, Cheryl Henson (President, The Henson Foundation), John Tartaglia (Emmy, Tony, and Drama Desk Award nominated actor, producer, puppeteer), Thomas Schumacher (President, Disney Theatrical Productions), and Michael Jung, (Vice President, Theatrical Development, Walt Disney Imagineering). The selected productions include the musical Go Green! Prince Charming’s Quest for Love and Ecology in NYC; the musical Scheme of the Superbullies; and a new version of The Velveteen Rabbit featuring live actors and puppets. The festival will premiere April 20 and run through May 5 at The Marjorie S. Deane Little Theater (10 West 64th Street at Central Park West). Tickets go on sale tomorrow, March 1, 2012, and are $18 ($15 YMCA members) available through Ovationtix, (866) 811-4111 or at www.newyorkchildrenstheaterfestival.org/tickets.html. Pretend City wants parents to know that healthy development is more than just luck. Taking a proactive approach to your child’s development can help set them up for success! Developmental checkups are head-to-toe assessments that ensure a child’s growth and development is progressing on track. A startling number of children in OC do not receive routine developmental checkups, as it is not part of a standard well-child visit. Families are invited to bring their children to Good To Go From Head To Toe’s 3rd Annual Family Fun and Wellness Fair Saturday, March 17, 2012 from 9am-2pm at Pretend City Children’s Museum. The event features free developmental screenings, free child ID cards, community and health-related activities, nutritious eating options, live music and many other opportunities for family fun. Screenings are for children ages 0-5 and include hearing, speech and language, behavior, BMI, fine and gross motor, and dental. If a child visits three of the checkup stations, they will receive free admission, an $11 value, to Pretend City, good for one year from the date of the event. Pretend City believes that fun-filled events like the Family Fun and Wellness Fair can ease parental concerns about their children’s health through education and a caring environment. This year the fair falls on St. Patrick’s Day so children can also partake in fun Irish-themed activities including: Live Music and Performances by the Claddagh Irish Dance Company and the Amazing Kazoom Band, as well as face painting, prize giveaways and more! A variety of health-related vendors including: Speech Pathology Associates, Dr. Selena Emond, Head To Toe Therapy, Racing Ahead, Providence Speech & Hearing, South OC Pediatric Dentistry, Zachary Orthodontics, Orange County Health Care Agency, Help Me Grow Orange County and Irvine Unified & Laguna Beach Unified School Readiness Nurses. There will also be healthy foods available from Jamba Juice, Seabirds food truck and Lulu’s Café. The event is sponsored by OC Family, Playlist 92.7 and California Pizza Kitchen. Pretend City is located at 29 Hubble in Irvine. Parking is available on the street and in designated neighborhood parking lots. On Sunday, March 18, 2012, Jelly Belly will sponsor the Annual Easter Egg Hunt at Dylan’s Candy Bar (1011 Third Avenue, NYC), giving children of all ages the chance to explore the world’s largest candy store in search of hidden eggs and surprises. Parents and children will enjoy a continental breakfast; participate in games and activities, such as Jelly Belly BeanBoozled Spin Wheel; have their photos taken with Dylan’s Chocolate the Bunny; and experience the thrill of a walk-about with Mr. Jelly Belly himself. Children will depart with fun prizes and a gift bag containing fabulous Jelly Belly licensed product and candy. In honor of Paper Mate’s newest addition, InkJoy, pen theft victims are encouraged to create “Wanted” posters of your suspected pen thieves. Head over to Paper Mate Facebook Page and click on the World’s Most Stolen Pen link to create your “Wanted” Poster. InkJoy is the world’s most stolen pen. Ever wanted to call out your pen stealer? Share your poster across your social networks or print it off and hang it up on the office door so everyone knows to keep their pens close, and the pen stealer closer. Everyone that makes a “Wanted Poster” has the chance to WIN 1 of 100′s of Paper Mate InkJoy pens, coupons or even a grand prize of $2,500! With American Heart Month wrapping up at the end of February and National Nutrition Month in March, it is the perfect time to evaluate your eating habits and focus on heart-healthy foods. Plant sterols, for instance, are great to incorporate into your daily meal plans. Research shows plant sterols, like the ones in corn oil, can significantly reduce the body’s cholesterol absorption. In fact, Mazola Corn Oil has more cholesterol-blocking sterols than any other cooking oil, with four times as many sterols as olive oil and 40 percent more sterols than canola oil. Check out Mazola’s Facebook page (http://www.facebook.com/MazolaBrand?sk=app_222913137766588) or SetAHealthierTable.com and take the pledge to set a healthier table. For each pledge, Mazola will donate $1 to WomenHeart (up to $50,000). All it takes is a simple click! Now in its 5th year, KidsBowlFree.com serves more than a million children and 700,000 families across North America each summer- allowing them to bowl for free all summer long. More than 950 bowling centers participate in the program from coast to coast which provides kids with 2 FREE games of bowling every day all summer. Families must register online at www.kidsbowlfree.com and then will begin receiving emailed vouchers valid for two free bowling games each day for a week every Sunday morning from the starting date at their center until the conclusion of the program in their community. Most Kids Bowl Free programs kick off by Memorial Day weekend and end on or about Labor Day Weekend. For more information/all participating locations and guidelines visit www.kidsbowlfree.com. Citi Trends, the leading value-priced retailer in the U.S. for urban fashion apparel and other top brands and accessories for the entire family is giving consumers an opportunity to win a total of $30,000 in cash and gift cards with their “It’s All About The Benjamins” Text to Win Sweepstakes.Visit any Citi Trends store to enter the “It’s All About The Benjamins” Text to Win promotion now till February 25, 2012. All instant gift card winners must redeem their prize at a Citi Trends store. For enter to win details and the “Text to Win” code, visit your local Citi Trends. Rancho Encinitas Academy Offers P.E. with a Twist! As physical fitness is cut from many public school programs, Rancho Encinitas Academy does the opposite, by adding yoga to the mix of their students’ physical activities. The classes are taught once a week and are intertwined with the physical education program which includes hiking, running, and team sports. Nicole Baron, certified yoga teacher with a masters in spiritual psychology, teaches the courses for pre-k to fourth grade Rancho Encinitas Academy students. Since 1994, Baron has been teaching yoga to children, from age two to seventeen, and has taught yoga at numerous prestigious schools across the nation. Her 17 years of knowledge and experience is extensive and she brings a unique approach to the children’s physical education regimen. Rancho Encinitas Academy faculty say their students are eager and excited to participate in their yoga education, and come prepared to learn and develop their skills. For more info click here. If you are one of the 17 million taxpayers expected to file a 1040EZ this tax season, H&R Block can help prepare your tax return for FREE! H&R Block is offering a free solution for those with simple tax situations no matter how they choose to prepare a return: at participating H&R Block tax offices, using H&R Block At Home online or software or video chatting through the new Block LiveSM service. Please visit the www.hrblock.com for more information or to begin preparing your return. Offer ends February 29th. Chelsea Baby is having a photo contest! Send us your babies picture for a chance to win a pair of Luxury Chelsea Baby Shoes. Please send your picture to cg@chelsea-baby.com for review. A new social networking site for neighborhoods and families was recently launched called Nextdoor. It allows residents to create free private websites for their specific neighborhoods where they can connect to ask questions, get to know one another and exchange local advice and recommendations. It’s a a great idea for moms. Calling All Moms: Your Idea Could Be The Next Big Thing! If you are hunting for a New Year’s resolution that fits into your hectic life, perhaps the answer lies in reinventing – or, just plain inventing. Edison Nation has partnered with Stride Rite to seek ideas for the next big thing in babies’ footwear. Edison Nation is looking for footwear innovations specifically for babies (from newborn to one year) that fuse function with fashion and appeal to busy, on-the-go moms. And who knows what children (and parents!) need better than YOU, the real experts. The possibility of being an entrepreneur – of being that mom who hits it big – is no longer so farfetched, at least not with the help of Edison Nation. All it takes is an idea. If you can describe it, or even doodle it, you can submit it. Edison Nation is an inventor’s community that hosts online searches for product ideas throughout the year. It partners with several of America’s favorite brands and offers every day folks the opportunity to submit their best ideas and potentially see them on store shelves. And to learn more about Edison Nation, watch this fun video! Save money and support Special Olympics with P&G’s brandSAVER dropping Jan. 1st! BrandSAVER will contain up to $95 in coupons from brand faves like Olay, Pantene and Tide, plus every coupon redeemed will support a donation to Special Olympics. Want to support even more? Head over to Facebook.com/thankyoumom because for every new fan or comment, P&G will donate another $1 to the organization. What a way to start the new year! Bugaboo and award winning chef, and new father Ludo Lefebvre come together in the kitchen to promote healthy eating for modern families. The partnership consists of 12 webisodes, premiering Tuesday, December 6 on bugaboo.com/ludobabybites. A new webisode will be posted every Tuesday and will feature easy fun recipes for the entire family. Have you purchased either the Energizer Inductive Charger and/or the Energizer Universal USB Charger? If so, leave a review of either one for a chance to win a $100 gift card! Click here for more info! The design duo Kristen Gara and Ryan Larson of Tin Parade Vintage Party Goods are excited to let you in on a new little Tin Parade secret. They’ve been hard at work in the studio designing a new party product they are calling Table Banners by Tin Parade. We think you will love them as much as we all do. In fact, we’d just bet you can’t wait to get your hands on one of the first ones hot off the production line. Check out a video with the Girls from Tin Parade telling you all about it–click here to view. As part of Stoneyfield’s Celebrate with Organic promotion (www.celebratewithorganic.com/), whoever goes to the Celebrate with Organic homepage and enters the contest for a year’s worth of Stonyfield or Organic Valley dairy products, they’ll donate twenty cents to Wholesome Wave – an organization whose programs are designed to make nutritious, locally grown food available and affordable to America’s underserved urban and rural communities. Throughout the year, Kashi will spotlight an organization working to reduce the Real Food Deficit on www.kashi.com/realproject and on the Kashi page on Facebook. For every person who raises awareness for the cause via the Facebook “Like” button and posts a statistic related to the Real Food Deficit to their Facebook wall, Kashi will make a donation to the featured organization up to a maximum amount. The Kashi REAL Project is more than just making a donation—it’s about bringing attention to the issue. And by raising awareness through social media like Facebook, it’s a way to empower people to inspire change in their own communities. Ranger Rick magazine, published by the National Wildlife Federation, has been delighting kids with amazing wildlife photography for over 40 years, and now kids have the opportunity to see their own cool nature photos in the magazine. Today, NWF is announcing its first ever Ranger Rick “Your Best Shots” Photography contest for kids under 13 years old. The contest is free to enter, and the winner could have their photo featured on the Ranger Rick web site and in the magazine. Judges will select a winner every month and children do not need to subscribe to Ranger Rick to enter the contest. Children can enter with parent’s or guardian’s permission at www.nwf.org/rrbestshot. Two free printable picture frames are available for simply entering the contest. Even if you don’t enter the contest, you can vote for your favorite entries on the web site. Miracle Skin Transformer is offering you the chance to receive a free MST BODY SPF 20 – the new body product that works to hydrate, enhance and protect the skin, (see below for more details). Simply get 10 friends to “like” Miracle Skin Transformer on Facebook and you will receive a BODY SPF 20 in the shade of your choice. Click here for more info. Need a personal assistant? Have we got the girl for you. Alison Lakoff, who is obsessed with organizing, running errands, and checking off to-do lists is pursuing a career in personal assisting. She was a teacher for 10 years and is now following her passion to make someone’s household, personal, and/or business life run more smoothly. She has a Masters degree, is very detail oriented, and is experienced at managing others. Sound like what you’ve been looking for? Give her a shout via phone, 310-309-0615 or email: alw312@gmail.com. Stonyfield just launched a great campaign to support the nonprofit Breastcancer.org. The campaign is part of an ongoing partnership between Breastcancer.org and Stonyfield. Earlier this year, Breastcancer.org launched its Organic Living section, which is part of the organization’s global Think Pink, Live Green initiative. The goal of Organic Living is to help people understand how the outside environment affects breast health through the chemicals in food, beverages, medications, and other products they use. Stonyfield sponsored the development of this new section, which provides invaluable information and advice on adopting an organic lifestyle, including steps you can take today to lower your breast cancer risk tomorrow. You can help by going to www.click4breastcancer.org where you can read, listen to, and watch the stories of those affected by breast cancer. We encourage you to “like” and share these stories with others through your blog, Facebook, Twitter, and email. Each action generates a “click” and every time you perform one – such as “liking” or commenting on a story, sharing your own story, adding to the word cloud by clicking “for” someone, sending an email, or tweeting – Stonyfield donates $.10 to Breastcancer.org. It’s that easy. You don’t have to submit any personal information, make a donation, or anything like that. Just click and we’ll do the rest. Cold-EEZE, a leading over-the-counter cough & cold remedy, will be launching their first-ever “Share Your Cause, Not Your Cold” contest, hosted exclusively on Facebook. Cold-EEZE will be donating $1,000 to a well-deserving, locally nominated and voted upon cause EVERY MONTH for 18 months. The person who nominates the winning cause each month will receive a Flip Camera to film their cause in action to help further awareness. The footage will be promoted on the Cold-EEZE website, www.coldeeze.com and on the Facebook Fan page, www.Facebook.com/ColdEEZE. Help your favorite cause by nominating them to win the $1,000 prize! A panel of judges selected by Cold-EEZE will narrow down each month’s submissions to FIVE worthy causes, which will be voted on by YOU! “A child should be seen [by an eye care professional] between the age of six months to a year.” – Dr. Robert Rosenthal. Many parents don’t know that their child should have their first eye exam at that young of an age! Learn why the first eye exam is so important, along with what an eye exam should entail by listening to Healthy Vision with Dr. Val Jones, on Blog Talk Radio: www.blogtalkradio.com/healthyvision. Healthy Vision is a free radio podcast that focuses on relevant information and helpful resources to help manage eye health for the entire family. It is hosted by health expert Val Jones, M.D., and CEO of Better Health, LLC, a network of popular health bloggers. To bring attention to the importance of eye health, today, VSP Vision Care is launching the VSP Eye Pledge campaign, a free and easy way to donate an eye exam and glasses to a Boys & Girls Club member in need. VSP has pledged to donate up to 50,000 eye exams worth more than $19 million dollars! For every pledge, VSP will donate an eye exam and brand new pair of glasses to a Boys & Girls Club member on your behalf. 1) Purchase a bag of Rockin’ Green soap online or from your favorite retailer. 2) Open up the detergent bag (stop and smell the aroma of course), and look to see if you have a green ticket! 4) If you didn’t find a green ticket – fret not, play again. The tickets are going in bags at random so you never know when it will be your chance to win! Please see official rules for more details. Kids need a lot of energy to keep them going during the summer season when they’re constantly on the go with camp, lessons, rehearsals, and play dates. With so much going on, wholesome eating habits tend to fall off during the summer months since hectic schedules lead to more meals and snacks being eaten on the run. To help keep kids on track this summer, Bagel Bites is asking parents to take part in their ‘Snack Simply’ pledge. To join in, all you have to do is visit www.SnackSimplyPledge.com. Every parent who pledges to make simple, wholesome choices for their kids at snack time will receive a $1.00 coupon for Bagel Bites. Also, for every pledge Bagel Bites will donate $1.00 to the Boys & Girls Club of America to help support childhood health and wellness initiatives, up to $50,000. Tea is looking for Foreign Correspondents! At Tea we are all about bringing the world home. Each season we visit a different global destination, and share our inspiration and the stories of our travels. We are appreciative of the beauty we find and the countries we explore. We’re cultural adventurists, apparel designers and global travelers. We believe in the journey. In discovery. In caring and connection. In diving in. In experiencing life with every bit of our souls. We go there. Across the globe. And across the street. And now we want to hear about YOUR adventures. We’re on the hunt for three Foreign Correspondents to share their experiences with us on our blog Studio T, between now and the end of the year. – What the purpose of your trip is – is it to experience a specific culture, reconnect with family roots, or do community service? Before you leave we’ll give you a $500 Gift Certificate to fill your suitcase with travel clothes from Tea. Once you return, share your stories and photographs of the people you’ve met, the food you ate, the fashion you saw, and the landscapes you explored. Bring the world to us. Write five blog posts on or shortly after your trip with accompanying photos or short videos detailing your adventures. We’ll devote a week of our blog to showcasing the story of your travels. Shop for Japan! Check out this blog to see who is selling or auctioning their work for Japan Relief — click here! Simple tips to make your life a little breezier! *Note: Follow the advice at your own discretion and always contact your pediatrician if you have any concerns. We Breezy Mamas are not liable for anything that may result from the following… unless it’s totally favorable of course. Curious as to how tall your child will be? Use this calculator to find out, click here! Looking for a easy-to-use pregnancy and ovulation calculator? Click here! Every mom should read the book, “How to Talk So Your Kids Will Listen” by H. Norman Wright. Amazing book, things we all know but need to be reminded of!!! —Adrian, Newport Beach. To order a copy for $7.91 from Amazon, click here. Looking for family fun for free? Click here for ideas! Need travel advice and the essential travel toys for ALL ages? Click here! Oh, the afternoon. Not always easy to get through after a long day! Check out these easy and fun projects, click here! Want the best approach for getting your baby to sleep? Click here! Getting ready to potty train? Get the secrets for success from Nonie Levi, M.A., MFT. Click here! Have a picky eater? Get some great tips on getting them to chow down. Click here. Celebrity Baby Blog: Get the scoop and see the fun pics of Hollywood’s hippest parents. Start the fun by clicking here. WomenCo: Are you a professional looking to connect with others? Check out WomenCo — a forum where members can forge connections with other working women to keep informed, empower and entertain themselves, and advance their careers. Jen’s List: Here’s the deal: don’t leave home without checking it! Sign up to receive Jen’s List in your in-box and get the fabulous scoop from events for moms to great sales. Sign up here. Glamour Cow: Want to feel fashionably fabulous? Check out the ultra-chic Glamour Cow. I’m obsessed with their ad of the week that takes you back in time! Check it out — GlamourCow.com. Stroller Strides: Hello a total work-out for you with your baby along! Save on a sitter and get in your exercise? Win-win! Click here! Have a Breezy Does It idea we can post? Send us your tips!